"Serene was a word you could put to Brooklyn, New York. Especially in the summer of 1912...Prairie was lovely and Shenandoah had a beautiful sound, but you couldn't fit those words into Brooklyn. Serene was the only word for it; especially on a Saturday afternoon in late summer." "Serene was a word you could put to Kirkman, Iowa. Especially in the summer of 1981. The countrysides were beautiful and a horse whinny was a beautiful sound, but that wasn't quite Kirkman. Serene was the only word for it; especially on a Saturday afternoon in late summer." The first time I read this book, I remember classifying it as a favorite. So when it came up for our lunch and library pick, I wondered if I'd feel the same way. I can staunchly proclaim, it remains a favorite. Maybe even the favorite. There is so much I love about this coming-of-age story. Relatable symbolism. Strong female characters. (Betty Smith was a solid feminist!) Punchy dialogue that somehow transcends the period of the novel. As I read this early 20th century piece, I realized how the challenge of growing up is a universal and timeless theme–whether you're growing in Brooklyn or Kirkman. The story of Francie Nolan as a child in Williamsburg, Brooklyn offers a collection of stories featuring her dependable mother ("Mother never fumbles"), her lovable but alcoholic father, and her younger brother who seems to be Francie's only real friend. Francie is clever and as we watch her grow up, we witness her cleverness transform to wisdom. She is acutely aware of her dire circumstances, yet she lives with resolve. I underlined almost a million passages. "No matter where its seed fell, it made a tree which struggled to reach the sky. It grew in boarded-up lots and out of neglected rubbish heaps and it was the only tree that grew out of cement. It grew lushly, but only in the tenements district." A tree that grows out of cement. Haven't we all seen something like that, but not been particularly astonished by it? This is how a great writer transforms the power of observation. "Tell the truth and write the story." "It is a good thing to learn the truth one's self. To first believe with all your heart, and then not to believe, is good too. It fattens the emotions and makes them to stretch." "Education! That was it! It was education that made the difference. Education would pull them out of the grime and dirt." 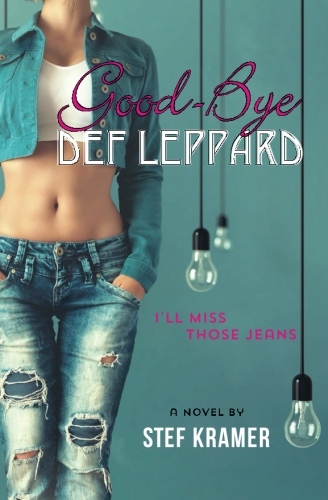 At one point of the book, after tragedy and heartbreak have befallen Francie, she prays, "Let me be something every minute of every hour of my life. Let me be gay; let me be sad. Let me be cold; let me be warm. Let me be hungry...have too much to eat...Only let me be something every blessed minute..."
This passage is written just before we learn that war is declared.This book is more than a coming of age narrative, it's a story about experiencing every moment of your life no matter what your circumstances or what happens around you. It's not a book about survival, it's a book of celebrating your survival. 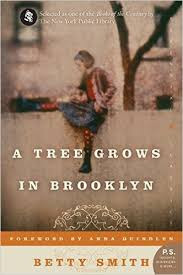 At the end of the novel, when Francie is getting ready to move from her childhood apartment, she notices the tree–the tree that men had tried to chop down and burn. It was still intact. "It lived. And nothing could destroy it."